Born in 1956 in Thrissur, Kerala, Meamy Raphael, later Sister Jesme was the fourth child of her parents. 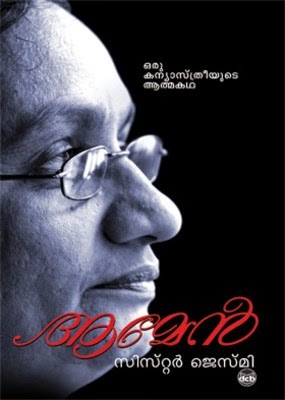 She completed her school and college education in Thrissur and Palakkad. In June 1974, she started her religious training, but with special sanction, was permitted to continue higher studies for M. Phil and Ph.D on a government merit scholarship. Since 1980, she has been teaching, by turns, at two Catholic colleges in Thrissur; she was vice-principal at one and principal at the other, for three years respectively. Jesme left the Congregation of Mother of Carmel in August 2008, while applying for voluntary retirement as principal.